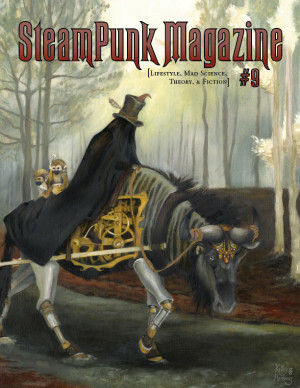 Steampunk Magazine » Steampunk World’s Fair! We’re all excited and getting ready for the 3rd Steampunk World’s Fair in New Jersey next week, and hope a lot of you are able to join us. It was the World’s Fair that actually directly led to the rebirth of SteamPunk Magazine: the magazine had been languishing for some time after the burnout of our UK editor (who took it over after MY burnout), but the SPWF renewed my faith in our culture. So I can’t thank the organizers of this event enough. Magazine contributors will be running a number of panels, and bands we’ve featured will be performing. It’s going to be wonderful.